QUESTION ON What to Do with Unpaid Taxes? What advice would you give for someone that hasn’t keep up with their personal taxes and sales and usage taxes. Can you tell me what to do to get this straighten out. I only gross 10,000 a year in a really good year, but I’m not keeping my books like I should. As they say, there are only two sure things in life: death and taxes. You mentioned that you don’t really make so much sales in a year. Not knowing your entire financial picture, it may even be possible that you may even be exempted in pay your personal taxes. However, in this country, tax evasion is a crime and failure to file your income taxes is subject to penalties. So, before the problem becomes greater than it is right now, I suggest that you take time to review your financial and tax records. Hire a book keeper or accountant to help you; or if you can’t afford one, find a friend who can help you figure out what you owe in your taxes. 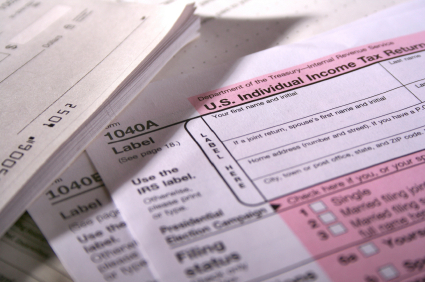 During tax time, some public libraries offer tax preparation advice and/or services. Ask what they can do to help you solve the problem. You can also visit the IRS website at http://www.irs.gov/ or call the nearest IRS office at your location to ask for advice. You can ask tax questions by calling the IRS toll-free customer service line at 1-800-829-1040 for individual tax issues or 1-800-829-4933 for business-related tax issues. If you are in business, sooner or later your unpaid taxes may catch up with you and then your penalties may have gone sky-high. Go and tell them your predicament. Don’t be afraid. They only want you to pay your taxes (if any) and if there is none, then you can go forward and start taking care of your books. You are the only one who can straighten it out. Be careful of services and individuals who will tell you that they can solve your problem and then charge you a steep fee. You might lose your money and still owe the taxes.